Managed to get the trunk open with the red strap under the back seats - thanks a lot for the pics. I checked the fuse box next to the battery bay and all of the fuses look good. Not sure if this is a fuse issue as it looks like the rear brake light and the trunk share a fuse and my rear brake lights are still working. After work, I dropped by the dealership to book a service appt and they suggested it might be wear and tear on the electrical wiring for the trunk (runs along the gas tank side of the car?). Suggested that fixing the wire would likely be a 2 hour job or about $200. Is that reasonable or I am getting worked? Thanks for all the responses so far. I am very not mechanically inclined, but I am still trying to figure out this problem before I pay somewhere between $200 (wiring) - $1000 (harness). I checked the fuse box in the driver's side kick panel and the fuse in the trunk socket appears the same as the one next to it. It is correctly in position. 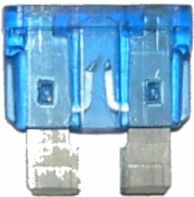 I realize this is a stupid question, but what does an open fuse look like - am I just looking for one that has popped out of position? Secondly, does it matter which way the fuse is placed as long as it is in the right place - in other words, is there a correct side that must be placed up or down or is it all the same? The weirdest thing happened while I was playing with the fuses. At one point, after a fuse "adjustment" I pressed the keyfob and the trunk opened. I then closed the trunk and tried the trunk release from the driver's side and the trunk opened again. Just to check, I tried the keyfob once more and the trunk wouldn't open. After that, I couldn't recreate the trunk opening and the trunk is still closed. Not sure how to explain that one - any ideas? 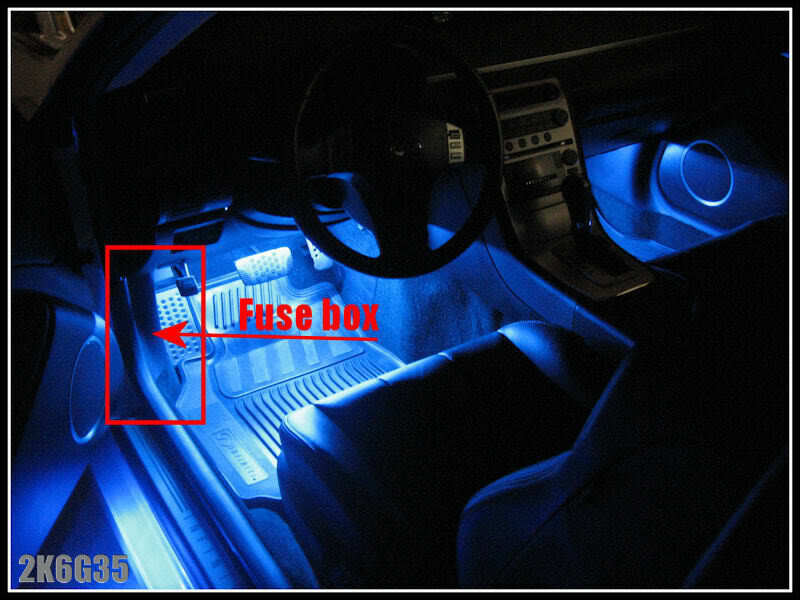 If that just happend (trunk worked a couple times then died) after you rearranged a fuse(swapped 2 fuses) then it has to be a blown fuse. It doesn't matter which way you plug a fuse in.. Also, that wear and tear is BS.. Unless you sit there 24 hours a day and open your trunk. Blown fuse: See how in the middle the curve is broken? It should go all the way through staying intact. I have a similar problem, but I'm not sure if it's because I'm stupid or there's a problem with the car. I have a 2006 coupe. I can open the trunk with the fob, but I can't open it with the button underneath the steering wheel or the silver button outside of the trunk. Am I doing something wrong, or is it time to visit the dealer? ^^^ when i was doing my stereo install i had the same problem. the switch in the glove box has to be connected in order for the trunk release to work properly. i had my glove box out and could not get into the trunk unless i went through the back seat. check the glove box, you may also just have the thing turned off, its the valet trunk protection security feature. I'm experiencing the same problem with the trunk not opening. I have an '03 G35 coupe and just replaced the battery and now trunck won't open with either key fob and interior release switch. I had to flip rear seat down and pull down on handle. Fairly sure that replacing battery must have blown a fuse, which I'll check tommorow morning. Someone told me that '03 coupes have electrical issues. Before replacing battery my interior lights wouldn't come on, now they do, but now trunk won't open. These cars are fussy. I hate to say it but it's not a Honda/Acura or Toyota/Lexus. Then again Honda/Acura or Toyota/Lexus don't handle or perform near as well. I guess you can't have your cake and eat it too! My car has done that before too. There is some kind of electrical gremlin. I've found it is almost always resolved by starting the car up again. I've also had it happen in a specific parking location. I think there is some kind of electrical interference around that spot. Ooooh i always knew there was a strap somewhere but i never knew exactly where. Thanks. Well, I found a bad fuse and replaced it but trunk still won't open?? I guess it's the harness or something mechanical not electrical. I guess I'll have to bring it it in. I don't suppose anyones ever replaced the harness? Any resolution to this issue? I'm having the same problem with my '05 and can't find a fuse for the trunk anywhere. I pulled and checked all the fuses in both locations with no issue to any of them. What spot are you guys seeing the trunk fuse on the kickpanel "door"? What amp is it? On another site I posted this and the response was "its a gremlin - disconnect the battery and you'll be fine." This did NOT work for me. I popped the trunk using the red rip cord and emergency release method, checked the wiring and everything is in tact. I'm at a loss to what this could be. Is there a solenoid back there someplace the activates the release?